Jackson Taylor is director of the Los Angeles branch of the FBI. His second in command is Ashley Haven. Although they are both intensely infatuated with each other, they have managed to keep things professional. A mission gone wrong ends with Jackson held hostage. When Ashley successfully finds him, they realize the true depth of their feelings. The agents barely have time to express their true feelings before another explosive situation rips not only Jackson and Ashley apart, but his family as well. With their lives at stake, Jackson and Ashley will use their skills as trained agents and their love for one another to close the case. Working for the FBI is not a safe career, and the ever-heightening crisis reveals how much Jackson and Ashley have to lose. Now having had a taste of what life could be like as a couple, they are faced with the cold, hard reality that their days of defending America may cost them a lot more than they ever imagined. Elijah was on comm with Ashley and a new woman they had transferred from another department a month ago, Natalie. It was too late. The sound of gunfire pierced Ashley’s ears as it rang through her comm. She gasped with shock. She called Elijah’s name over and over, but he didn’t respond. She switched channels and tried him again and then her other agents, but minutes passed, and she heard nothing. 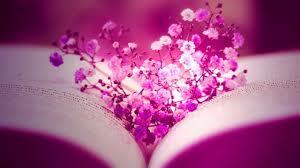 Ashley felt like she had stopped breathing and that everything was going in slow motion. Another explosion went off next to her surveillance van, sending her body flying through the air and smashing into the side of the van wall. The van doors opened up, and men stormed the vehicle, and so she lay still, pretending to be dead. The sound of gunfire was never-ending, and her ears felt like they were bleeding. Someone kicked her body, looking for a sign of life, and it took everything she had to not respond. She breathed so shallow, hoping her breathing would go completely undetected. It felt like hours before she heard them leave the van. Silence filled the office as everyone waited for a word from the team on the ground. All that David could hear was the sound of Natalie on her computer. He checked every channel on their comm. All their satellite feeds were lost. They had nothing. Shelley was born in Perth, Western Australia. Shelley moved around, Australia many times during her childhood. However, she feels most at home in Melbourne. Shelley is a single mother to her five-year-old daughter, Ashley and their puppy, Bandit, and cat, Walter. With a degree in Journalism, Shelley spent many years managing and creating content for a professional golfer, Aaron Baddeley’s website. This was a highlight of her career, traveling the world, meeting amazing people and writing for some of the largest golfing publications online. She also owned a junior golf academy in Melbourne called, GreenWalkers. With a love for the entertainment world, Shelley has done a lot of casting and behind the scenes work on TV shows in Australia. Spending time on the Terra Nova set learning from her favorite director, Jon Cassar (24) was an incredible experience. She was even able to suit up as a soldier as an extra in multiple episodes. After many major operations on her knee and a sufferer of chronic pain, Shelley was forced to re-evaluate how she wanted to move forward with her career. 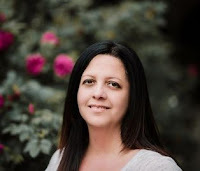 Having long written fiction for herself, she decided it was time to share some of her work and achieve a long-standing dream to publish a book. 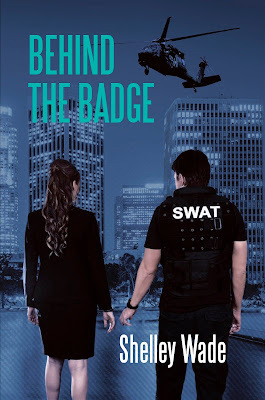 Behind The Badge is Shelley’s first novel and she hopes this is just the first in a series.